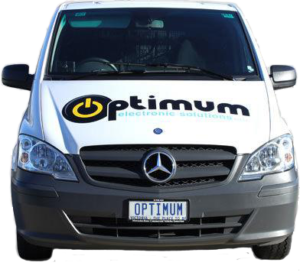 Optimum Electronic Solutions are an experienced and professional mobile and workshop based television repairs business in Melbourne. We are an authorised TV service agent for many manufacturers and extended warranty companies in the electronics industry. Our services range from Hi-Fi repair to TV screen repair across Melbourne. At Optimum Electronic Solutions we have decades of experience in the electronics and TV repairs industry. We tailor our TV repair services to suit the needs of all our clients and associated manufacturers. As an authorised TV service agent to many major brands, your products are in the hands of professionals you can trust. As a leading TV Service Centre Optimum Electronic Solutions offer our customers a dedicated and reliable TV repair service across Melbourne. We provide unbeatable product knowledge. As an authorised television repair Service Centre our services are endorsed by some of the most trusted names in audio visual products. We conduct TV screen repairs of Samsung, Pioneer, LG, Hisense TVs and many more, as well as being a supplier of genuine Samsung spare parts. Our modern workshop and capable staff make Optimum Electronic Solutions a leader in TV repair in Melbourne. With services ranging from repair of DJ equipment to simple TV screen repair, Melbourne customers can count on us to deliver the right solution.